Investigate Earth as a Professional Environmental Geoscientist to understand environmental interactions between geology, biology, and hydrology. Find a life-long career in environmental geosciences: in remediation, in the mining industry, government, or in consulting agencies. Learn how the Earth and life on it have evolved, how industrial development impacts the environment, how the atmosphere interacts with terrestrial and oceanic environments, and help to find solutions for environmental recovery. Take advantage of small class sizes that provide an open learning environment, and explore on national and international field trips, conferences, and geological talks at the Harquail School of Earth Sciences. Are you curious about Earth and the environment, evolution of life and our planet, what causes climate change, how do you remediate or regreen mine sites? Do you enjoy: The outdoors, hiking, camping, exploring exotic, distant places, working with computers, global problem solving, integrating scientific disciples (geography, biology, chemistry, physics, mathematics)? Then Environmental Geoscience is for you! Learn how Earth and life on it have evolved, exploring 4.5 billion years of Earth's history. Study in Sudbury, a place world-renowned for its successful re-greening and innovation in environmental remediation, for example in the emerging field of biomining. Complement your in-class learning and get real-world experience with great summer job opportunities with mining or consulting companies, science centres or the Ontario Geological Survey in one of the largest mining and geoscience centres in the world. The four-year B.Sc. in Environmental Geosciences is designed to meet the minimum knowledge (academic) requirements for registration as a professional geoscientist (P.Geo.) with the Association of Professional Geoscientists of Ontario (APGO). Registration with the APGO will significantly enhance career prospects of Environmental Geosciences students. Academia and research, for example mine site remediation, climate change, history of life, by using techniques of environmental mineralogy and geochemistry, bioremediation, sedimentology, or hydrogeology. "Honestly I can go on and on about this career path. But in essence, it is a career that for me seems too good to be true. My current summer jobs thus far in addition to academics have fueled me in every way. It's like trying to solve a puzzle that the Earth created, while getting to be outside all at the same time. 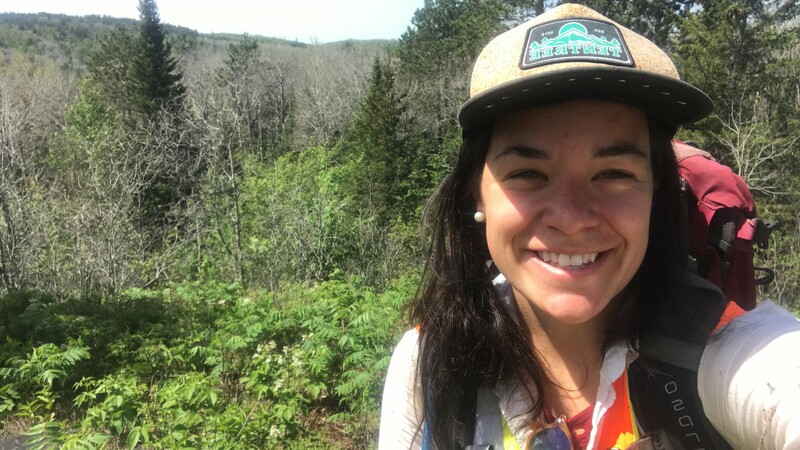 Learning the natural processes of the Earth, seeing a multitude of neat rocks and minerals, and trekking through the forest are among some of the every day highlights as a geological field assistant with the Ontario Geological Survey."